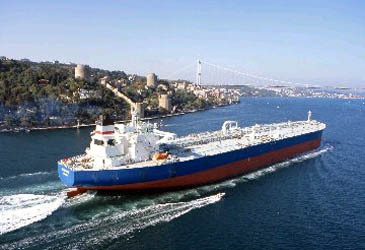 Dubai, UAE (WAM) — Gulf Energy Maritime (GEM), one of the region's leading product and chemical tanker companies, has awarded South Korea's Hyundai Mipo Dockyard Co. Ltd. a contract for five high specification double hulled product/chemical tankers for delivery during 2006/2007. The contract, valued at approximately US $180 million, is for three tankers each with a 37,000 ton capacity and two with a 47,000 ton capacity. "This contract reflects the continued expansion of GEM and its extensive servicing of regional and international customers," said Hussain Sultan, GEM's chairman and chief executive officer. "These tankers, which will carry petroleum products and chemicals will be state of the art. They will be fitted with the latest deep well pumps and meet international environmental safety requirements by being completely double-hulled." The contract was signed at GEM's Dubai headquarters by Hussain Sultan and Byun Moon-Sung, senior vice president of the Hyundai Mipo Dockyard Co. Ltd., based in Ulsan, Korea. An oil tanker built by Hyundai Mipo Dockyard Co.
Hyundai Mipo was selected following extensive consultations with a number of international shipbuilders. "The selection was based on our desire to ensure that the vessels are built at a yard with a long track record of building similar tankers and on the right commercial terms," explained Sultan. The five new vessels will join a GEM fleet which currently comprises two, four-year-old panamax coated tankers and four additional panamax tankers which are scheduled for delivery from Hyundai Heavy Industries next year. "Though a young company, GEM has already secured an expanding international reputation of being a quality driven, independent commercial tanker company and is a major asset in our client portfolio," said Byun. "This deal further strengthens the relationship between Hyundai and GEM." GEM was established under the UAE Offsets Programme earlier this year as a joint venture between Dubai-headqu! artered Emirates National Oil Company (ENOC) LLC, Abu Dhabi's International Petroleum Investment Company, Oman Oil Company and Thales of France. "GEM has been well received on the international shipping scene and recently secured US $100 million in revenue on its existing four new builds via a three-year, post-delivery chartering agreement with an investment grade company," explained Sultan. GEM was set up to fill an expanding global niche for independent clean petroleum transportation, as global shipping laws outlaw existing single hulled ships.